The old adage “we are what we eat” is certainly a wise one and this applies to dogs too! We asked Dr Eleanor Parker from Pawly Understood to explore the link between food and mood, based on the latest scientific research. 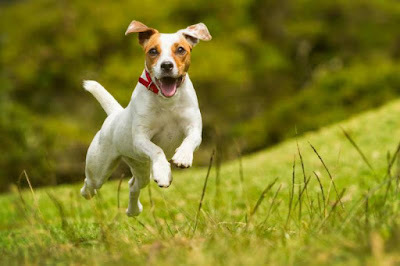 It is well established that what we feed our dogs influences their physical health. However, the concept that nutrition has powerful effects on mental health and behaviour is often less well understood and overlooked. Nutrition influences the fuel and building blocks available to every cell and every metabolic process in the body. Just as a bone cannot function properly without adequate calcium and a red blood cell cannot function properly without iron, a brain and nervous system cannot function without its necessary components. In regards to dog behaviour, we must recognise that all behaviour is a direct manifestation of activity in the brain and central nervous system. Behavioural output is secondary to underlying mood, emotion and motivation. These things are controlled by networks of neurons (nerve cells) in the brain. If neurons cannot function or communicate with each other optimally their associated brain networks will be affected and so will behaviour. It is now coming to light that nutrition affects the central nervous system in more complex and fascinating ways than we had previously thought. 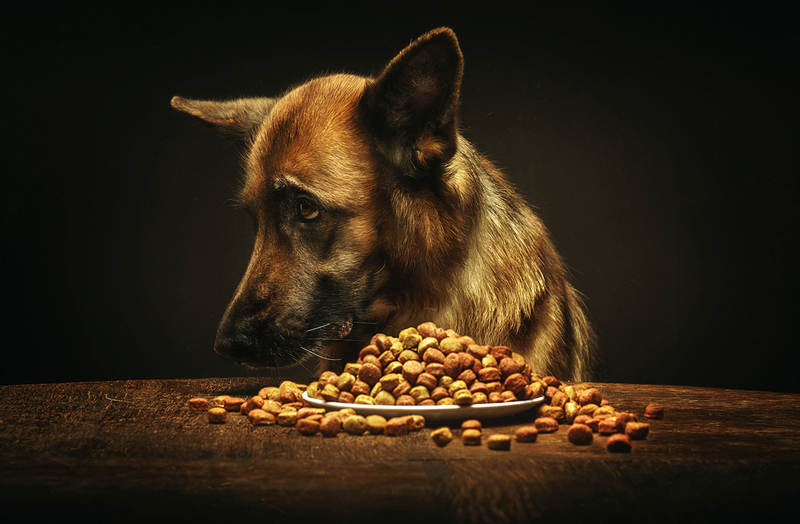 Thankfully these days we have available many types of commercial dog food products which follow set guidelines and adhere to standards of being “complete and balanced” which means they should have all of the necessary nutrients and in the right ratios. Feeding one of these diets is a good start but might not be the end of the story. “Adequate” means the amount needing to be present in the diet to avoid deficiency and disease. In other words, the minimum requirement. “Optimal” means the level at which the most perfect level of functioning, health and welfare may occur. We do have data established in regards to the minimum requirements of most nutrients in dogs. However, we are lacking data on the potential optimal levels. 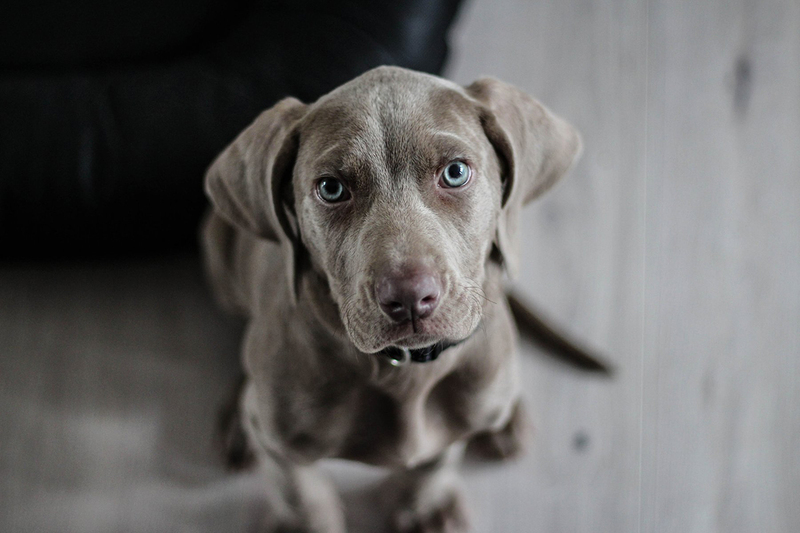 Furthermore, previous studies looking at nutritional requirements in dogs have focused on assessing the presence or absence of physical disease, not on mental health and behaviour. Practically, what this means is that we could feed our dogs a commercial diet which provides everything they need to avoid a classical nutritional deficiency, but may not contain enough nutrients to be functioning optimally and may still benefit from specific adjustments or additions. Another consideration is that all dogs are individuals and there is much variation between them. 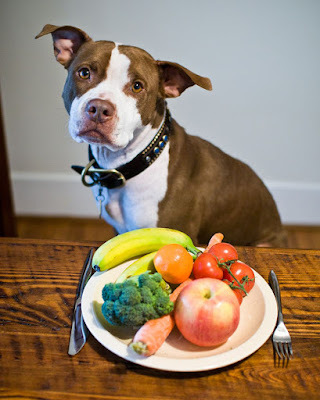 What is the best diet for one dog may be very different to another, depending on their genetics and environment. There is also another big piece of the puzzle in regards to what happens to the food once inside the digestive tract, this will be discussed shortly in the section on the gut-brain connection. Unfortunately to date, there is limited research in the area of how specific nutrients affect the brain and behaviour in dogs. 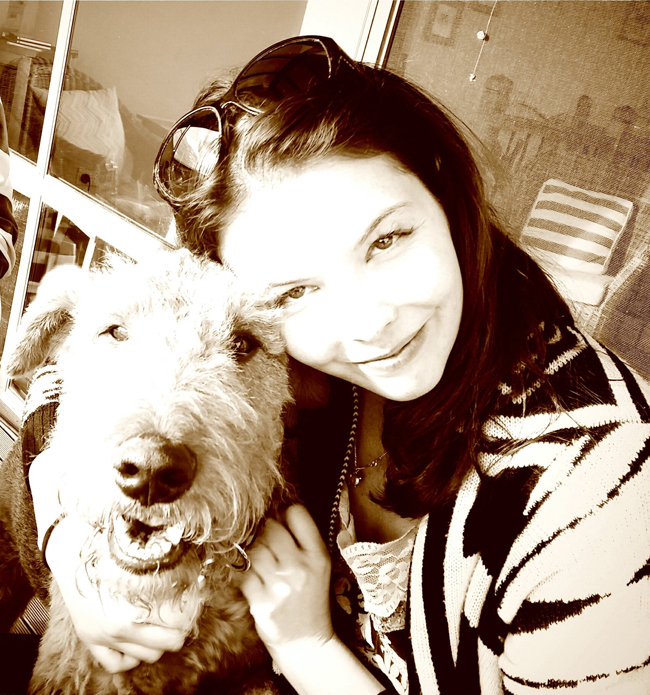 It is somewhat of a new frontier as mental health becomes more widely recognised in our pets. There is however enough evidence combined with extrapolation from human data to give us some solid theoretical and practical starting points. 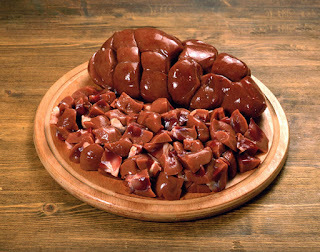 Tryptophan is the amino-acid pre-cursor or building block for serotonin. Serotonin is a major neurotransmitter in the brain and central nervous system which influences an impressive array of things including mood, arousal, impulsivity, aggression, anxiety, depression and sleep. Low levels of serotonin are associated with increased mental health problems and behavioural abnormalities in humans and dogs. High levels of serotonin are associated with feeling calm and content. Being an amino acid, Tryptophan comes from protein in the diet but its physiology is complicated. The ratio of Tryptophan to all other amino acids in the diet is the most important factor in ensuring serotonin can be made. Other amino acids compete for transport across the blood brain barrier into the brain and will be preferentially transported above Tryptophan. 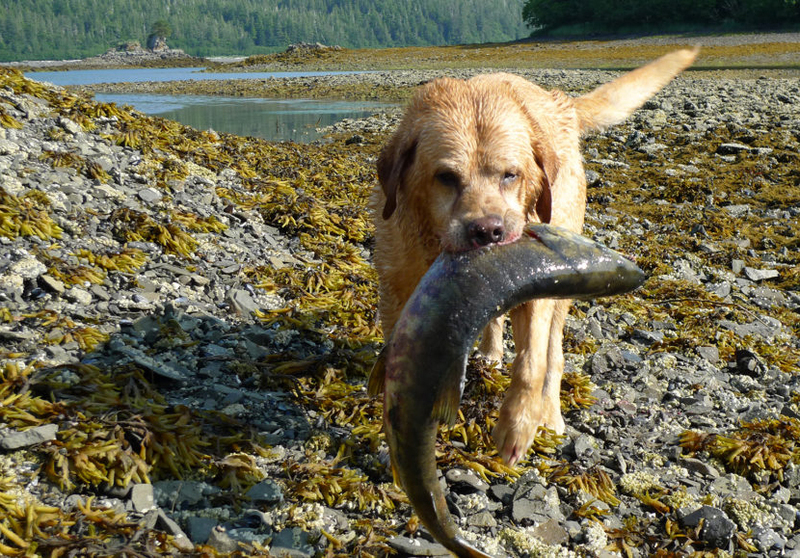 your dog is unlikely to catch his own salmon! So, Tryptophan has to be present at a higher ratio than other amino acids and the overall protein content of a meal needs to be low in order to ensure other amino acids do not outcompete and saturate the available transport carriers into the brain. Practically this means that feeding a low protein and high carbohydrate and fat diet with a tryptophan ratio higher than any other amino acid is what will have the best effect on serotonin synthesis in the brain. It would be useless supplementing tryptophan into the diet if the overall protein content was high as this would not allow tryptophan to get into the brain. Some foods particularly high in Tryptophan are eggs, salmon and turkey. Tryptophan supplementation is available commercially in the form of PAW Complete Calm. This is another amino acid and neurotransmitter building block. It affects levels of the neurochemicals dopamine and GABA in the brain. There is some evidence to show it has a calming anti-anxiety effect in dogs. It is available in many chemists and sports nutrition stores. This group of nutrients have an important role in ensuring nerve cells are healthy. They assist with many metabolic processes in neurons and facilitate growth and repair of new nerve cells. Folate and Cobalamin have been implicated in mood, anxiety and depression. In rare cases, some dogs have a genetic disorder which prevents them from being able to absorb VitB12. They will be at high risk for deficiency and may need injectable forms administered. Vitamin B12 is supplemented in the above mentioned PAW Complete Calm product. Vitamin B9 (folate) can be cheaply and easily supplemented using the human form “Megafol 500ug” available from pharmacies. Fatty acids are an integral component of the cell membrane of nerve cells which is necessary to ensure nerves can function and transmit signals as well as grow and repair. Omega 3s also have anti-inflammatory effects in the central nervous system (and everywhere in the body). They can help offset the oxidative damage caused by stress and anxiety in the brain. Omega 3 supplementation has been shown in some human studies to be preventative and therapeutic for anxiety and depression. Some research has shown fatty acids to be as or even more effective than using anti-depressant medication for some cases of anxiety. Available as fish oil capsules or flax seed oil from chemists and supermarkets. Some limited dog studies as well as more extensive research in people is revealing magnesium influences anxiety and behaviour. There is some evidence magnesium supplementation can help alleviate anxiety and depression and improve mood. Magnesium supplementation has even been shown to improve behaviour in children suffering ADHD. Magnesium facilitates calming of the central nervous system by its ability to block NMDA receptors (which are involved in excitatory neurotransmission). It also has a role in hundreds of other critical metabolic processes (including supporting neurotransmitter function). It is readily available from chemists. Magnesium can cause diarrhoea in some patients so needs to be introduced at a low dose for dogs with sensitive bowels. This is a naturally occurring compound necessary for every cell of our body and fundamental in hundreds of metabolic processes. It is known to be neuroprotective and boost levels of helpful neurochemicals. It has proven efficacy in treating anxiety and depression in people. It also has helpful effects on inflammation, pain and liver detoxification. It is formally licensed as a pharmacological agent for treating depression in Europe, but in Australia is available over the counter as a supplement. It is very safe with a low side effect profile. This compound has a general calming effect on the central nervous system and has been shown to be effective for anxiety in dogs over the medium to long-term. It is derived from milk products. It is now commercially available as “Zylkene” and can be purchased from veterinary clinics. This helps the structure and function of nerve cells. It is particularly useful in older or elderly patients as it helps prevent cognitive decline and brain degeneration by helping to keep levels of neurochemicals at optimal levels. It has been proven in several studies to cause clinical improvements in canine patients. Antioxidants play a vital role to offset the oxidative damage caused by age, inflammation and stress to protect the function of the brain and body. Anxious patients under chronic stress endure more severe and rapid oxidative damage to their central nervous systems and this worsens their disease. 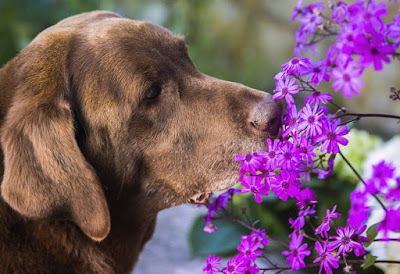 There is some evidence to suggest anxious and aging dogs can benefit from additional anti-oxidants in their diet. These compounds are commercially available together in the form of PAW Senior Vitality. The brain does not exist in isolation. Recently, research has been enlightening us to the way the gastro-intestinal system influences psychology and mental health. It is becoming apparent that what goes on in the “enteric nervous system” (the network of nervous tissue associated with the gut) has massive influences on our brain and is in constant communication with our brain via the vagus nerve. The gut is often called “the second brain”. This is because it has similar embryological origins and shares many of the same messenger molecules and chemical mediators. In fact, more than 90% of all the serotonin in the body is in the gut! This accounts for why psychoactive medications such as anti-depressants often have gastrointestinal side effects such as diarrhoea or constipation. We are starting to see that anxiety and depression can be induced and alleviated via changes to the gastrointestinal system. We are now even drawing links between gut bacteria and disorders such as autism and ADHD. Specifically, the “gut microbiome” (comprised of the billions of bacteria that inhabit our gut) is now known to hugely impact mental health. The bacteria in the gut do not sit idly by but play a dynamic role in the rest of the body’s physiology. We know that metabolic activity of certain bacteria in the gut produces bi-products that affect neurochemistry and mood and that the bacteria in the gut can influence the immune and hormone systems as well (which also “speak” to the brain). An imbalance of bacteria can mean that vital nutrients are stolen or harmful toxins produced. Generally it seems that a robust and blossoming microbiome is associated with robust mental health, while an impoverished depleted microbiome is associated with increased incidence of mental health problems. To my knowledge, there is minimal research in this area in regards to canine patients but it definitely warrants consideration and future investigation. Anecdotally, I certainly do see gut issues contributing to anxiety and undesirable behaviour and the other way around, with anxiety and stress causing direct manifestations of gut problems (e.g. stress induced diarrhoea). Probiotics may be beneficial when supplemented to dogs with anxiety disturbances. Available in the forms of Protexin powder or PAW Digesticare 60. It’s not just what you eat but how you eat it! One final point worth making in regards to feeding our dogs to promote optimal mental health is that the way they eat is important. Enrichment and creative feeding is known to boost positive neurochemistry and help combat anxiety and undesirable behaviour. Dogs prefer and benefit from engagement with their food that goes some way to mimic their natural time budget. Ideally, if we can ensure our dogs are spending a decent amount of time obtaining their daily ration in an interactive and rewarding way, they will be better for it. Things that require lots of explorative, investigative behaviour and problem solving are great – as long as they are not too difficult as to cause frustration. Scent work, scatter hunts, slow feeding devices or treat dispensers are great. Things that need lots of chewing are also fabulous – long-lasting dental chews, raw bones or bull chews etc. At every level, diet plays a fundamental role in ensuring optimal mental health, functioning, behaviour, quality of life and longevity. Commercial diets (while nutritionally “adequate” in line with initial research as to the minimum requirements for dogs) may not contain optimal levels of certain nutrients and many dogs may therefore benefit from additional supplementation. Furthermore, the microbiome of an individual is fundamental in dictating what happens to the food they eat. The enteric nervous system communicates with the brain to impact mood and behaviour. The fields of gastroenterology and psychiatry are starting to reveal far more overlap than previously understood in humans. More research is needed into the role of nutrition and the gut-brain connection in canine patients so that clear preventative and therapeutic recommendations can be established. Written by Dr Eleanor Parker, April 2018 for Australian Dog Lover (all rights reserved). Disclaimer: we always recommend discussing any changes in your dog's diet or food supplements first with your own vet. They are best qualified to advise you, having a full understanding of your dog's current health condition and medical history." For questions, clarifications or further information, please contact Dr Eleanor Parker of Pawly Understood.